There is an exciting scene of professional designers, artisans and artists that continue to revitalise the centuries-old craft today. From rugs and wall hangings to artistic installations and subversive interventions, contemporary expressions of the craft are as diverse as they are numerous. Argentinian Alexandra Kehayoglou, designs breath-taking natural landscapes (for the likes of Dries van Noten), while Daniel Harris (UK) makes textiles for famous clothing brands using nineteenth century looms. Brent Wadden (Canada) weaves beautiful, museum-standard fabrics. The book includes images of their studios, work and inspiration and indepth essays on the craft’s relationship with themes such as emancipation, migration and new technologies. Seeing music differently in The House of Rock; 34 Montague Square. A collaboration between woven textile artist Nadia-Anne Ricketts from BeatWoven, musician Beatie Wolfe and Saville Row tailor David Mason of Mr. Fish. 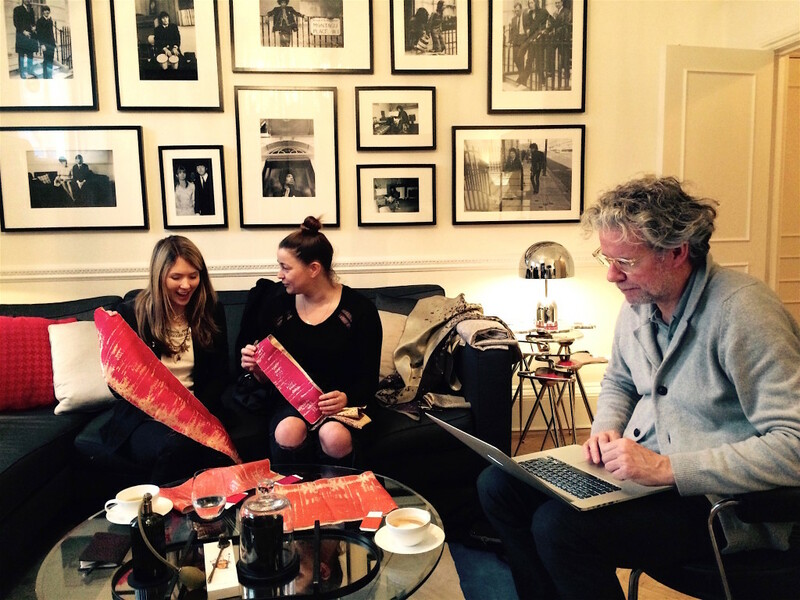 It all began on the night of a book launch; The Digital Handmade : Craftsmanship in the New Industrial Revolution, where both textile artist Nadia-Anne Ricketts and innovative musician Beatie Wolfe were introduced by the author Lucy Johnston . It was the beginning of a collaboration where the five worlds of fashion, music, craft, history and technology would collide to show how music and craft can be worn and seen very differently in a compelling, storytelling way. Dubbed ‘The Secret Abbey Road’, 34 Montague Square is the former home of Hendrix, McCartney, Lennon and Ono; and the very birthplace of a ‘Wind Cries Mary’ and ‘Eleanor Rigby’. 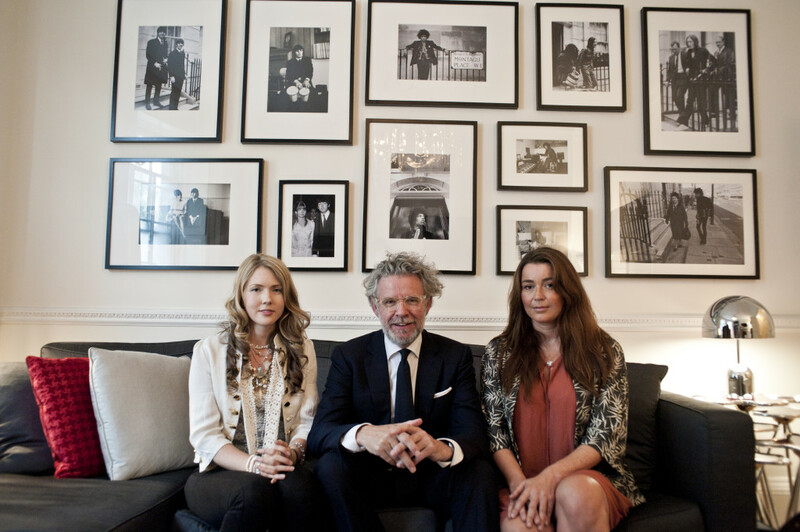 The basement flat now belongs to savile row tailor, David Mason, an already collaborative partner to Beatie Wolfe. Both were eager to launch both David’s new acquisition; the re-launch of the flamboyant fashion label to the rock stars of the 60’s – Hendrix, Bowie and Jagger to name a few – Mr. Fish; with the release of Beatie’s new album consisted of music lyrics inspired by the very people that inhabited the space fifty years ago. 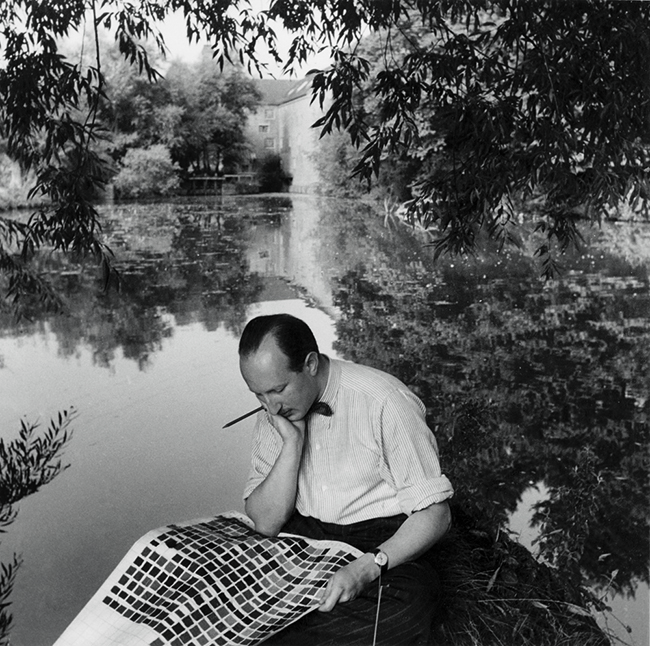 This year celebrates the centenary of pioneering designer Tibor Reich, who brought modernity into British textiles. 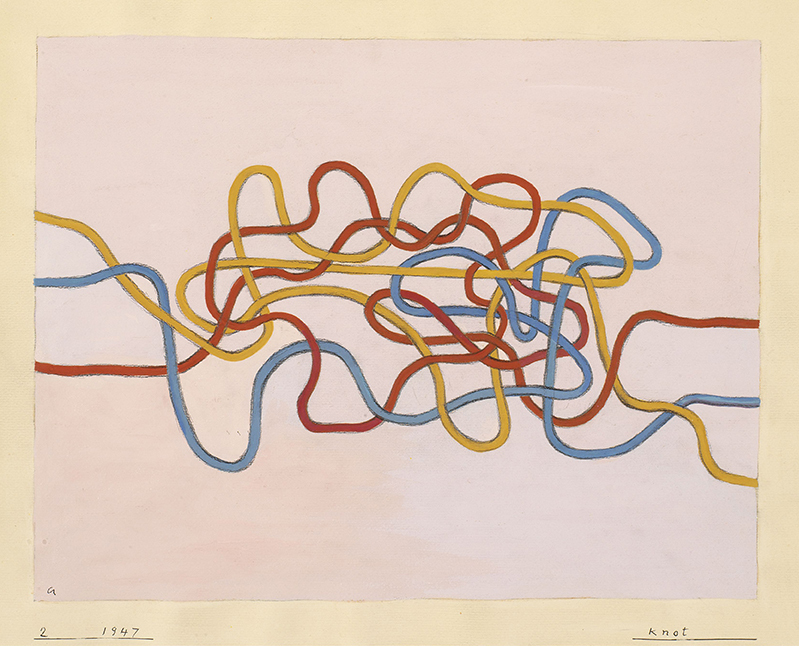 A major retrospective at the Whitworth, Manchester opens 29th January – August 2016, accompanied by a publication ‘The Art of Colour and Texture’ available from March 2016. In 1946 he set up Tibor Ltd, introducing bright new colours, unusual textures and innovative pottery into the drab interiors of post-war Britain. Based in Stratford-upon-Avon, the firm rapidly gained an international reputation, working on prestigious commissions including the 1951 Festival of Britain, the Royal Yacht Britannia (1954) and Concorde (1966). His fabrics could also be found on post-war furniture including Ercol, Ernest Race and Gordon Russell. In 2015 Tibor Reich’s Grandson, Sam Reich, began the huge task of reviving his Grandfathers company, Tibor Ltd. The Weave Shed website played a vital role in this, helping Sam to establish contacts within the industry both yarn and manufacturing and in connecting with future employees. Tana Bana is a weaving term meaning ‘the warp and the weft.’ In Varanasi, the legendary Hindu city, it also means the warp and weft of time and space as well as the daily synergy of Hindu and Moslem. But now Varanasi is under threat. If a single weaver can operate four power looms at the same time and the weavers are unable to teach their skills to their children, how can the city survive? This unique, intimate documentary takes a journey through a day in the life of Varanasi, challenging preconceptions along the way. From Hindu prayers on the Ganges at dawn, the film moves into a Moslem world where the hidden lives of women and children are gradually revealed as the weavers attempt to address the huge forces dominating their lives. 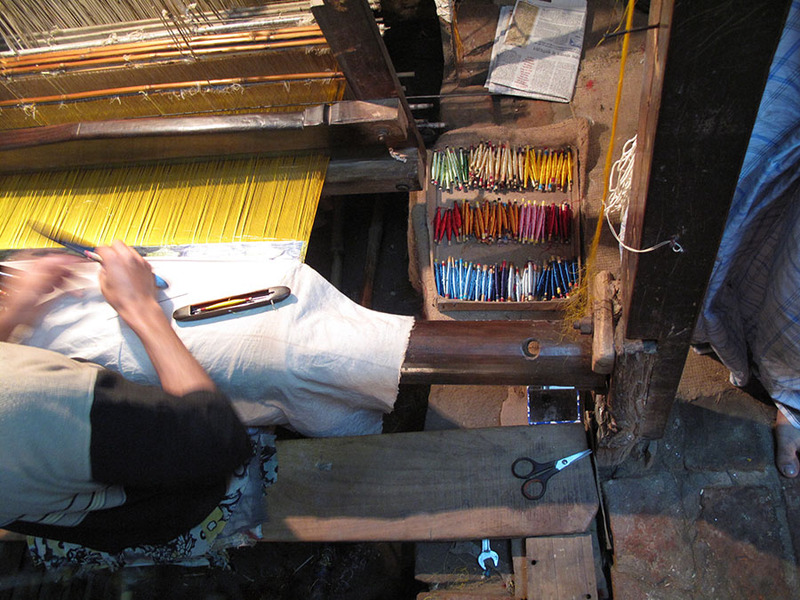 For a number of years the filmmakers have filmed the Muslim handloom weavers and their community in Varanasi India – who make silk zari brocades and wedding saris. 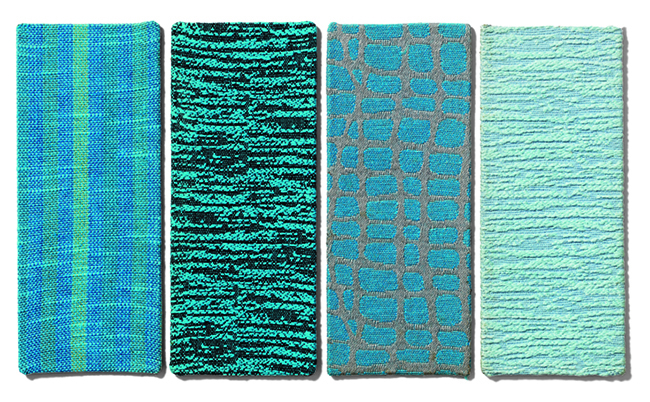 Barbara Jansen will be displaying two projects (physical prototypes): “rhythm exercise” and “Sinus 64 + blue” at Techtextil Fair in Frankfurt on the stand from Smart Textiles/University of Boras, stand 3.1 C76, 4th-7th May 2015. She will be on site on 4th-6th May. She will also give a lecture on her PhD research at Elfack Fair in the Light Forum at the Swedish Exhibition and Congress Center in Gothenburg 7th -may 2015. 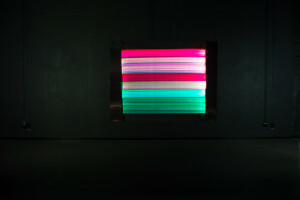 Temporal patterns – Solo Exhibition. 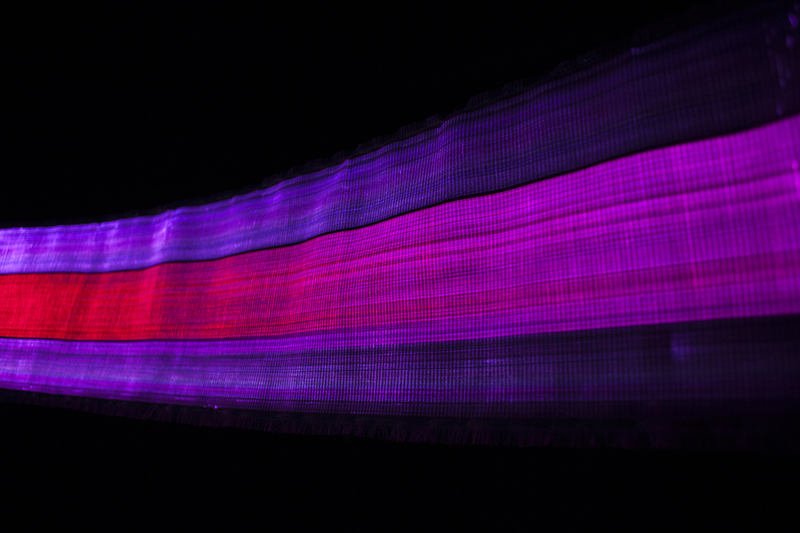 In this exhibition, textile designer Barbara Jansen presented her PhD thesis, in which she investigated the visual effects of movement using light as a continuous time-based medium. 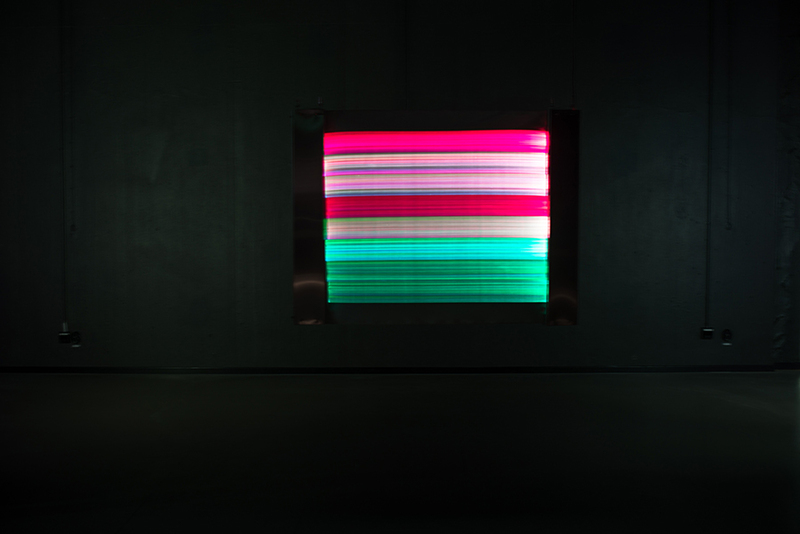 The textiles displayed in this exhibition showed a varying range of examples which explore aesthetic possibilities of how light can be integrated as an active part into textile structures. Thereby ranging from weaving, to knitting and braiding techniques, both hand crafted, as well as industrial produced. 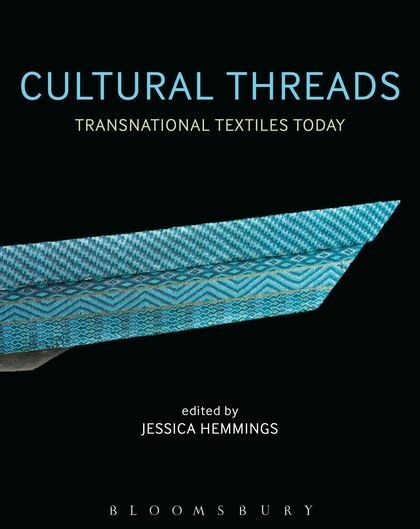 Cultural Threads by Jessica Hemmings considers contemporary artists and designers who work at the intersection of cultures and use textiles as their vehicle. Ideas about belonging to multiple cultures, which can result in a sense of connection to everywhere and nowhere, are more pertinent to society today than ever. So too are the layers of history – often overlooked – behind the objects that make up our material world. The roots of postcolonial theory lie in literature and have, in the past, been communicated through dense academic jargon. Cultural Threads breaks with what can read as impenetrable rhetoric to show the rich visual diversity of craft and art that engages with multiple cultural influences. Many of these objects exist in an in-between world of their own, not wholly embraced by the establishments of art, nor functional objects in the conventional sense of craft. 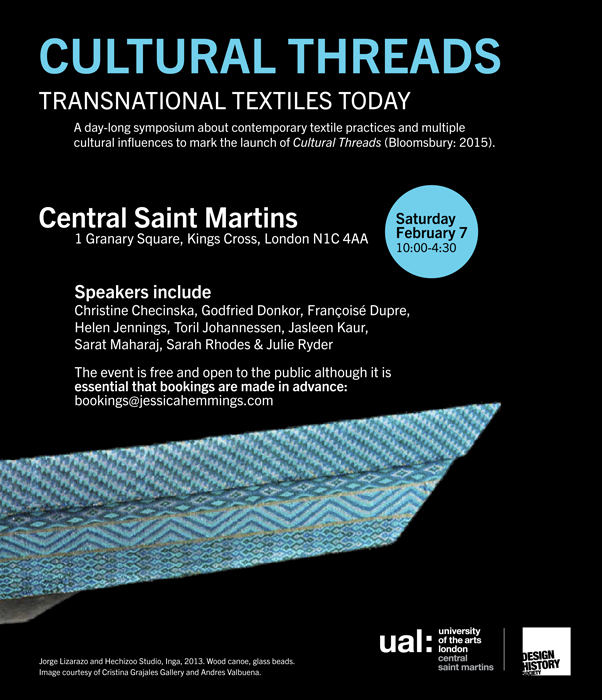 Cultural Threads is an exploration of contemporary textiles and their relationship with postcolonial culture. However, the postcolonial thinking examined here shares with craft an interest in the lived, rather than the purely theoretical, giving a very human account of the interactions in between craft and culture. Jessica Hemmings is Professor of Visual Culture and Head of the Faculty of Visual Culture at the National College of Art & Design in Dublin, Ireland. 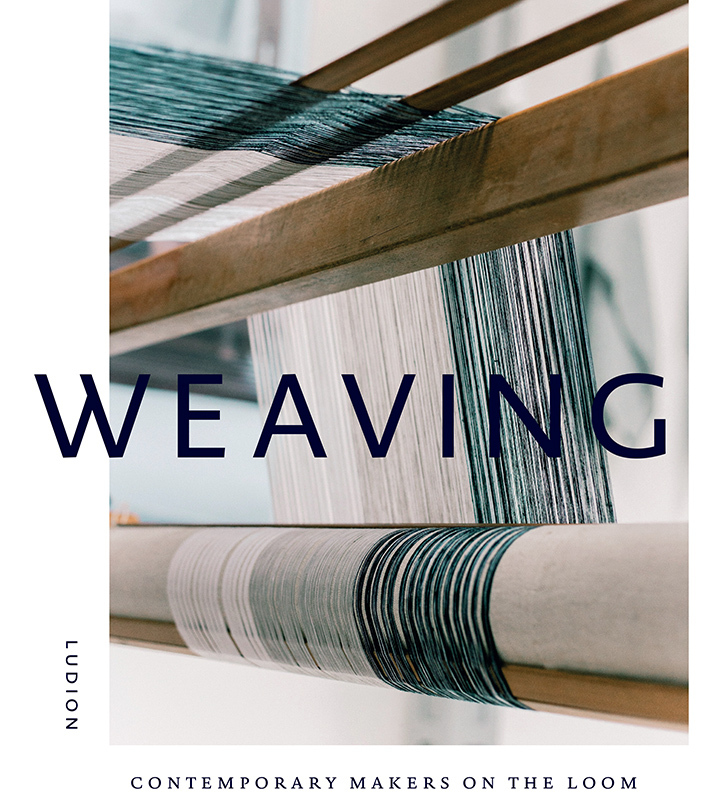 Jessica is editor of The Textile Reader (Berg, 2012), In the Loop: Knitting Now (2010) and Warp and Weft: Woven Textiles in Fashion, Art and Interiors (Bloomsbury, 2012). She also regularly contributes articles and reviews to publications including Selvedge, Embroidery, and Surface Design Journal. Text & images from the Bloomsbury website. Selected is a brand new bi-annual journal celebrating makers and making, passion and innovation. Brought to you by SITSelect, it’s aim is to present a taste of the brilliance and the beauty that is around in the UK and the pleasure individual makers, designers and thinkers bring to our world. 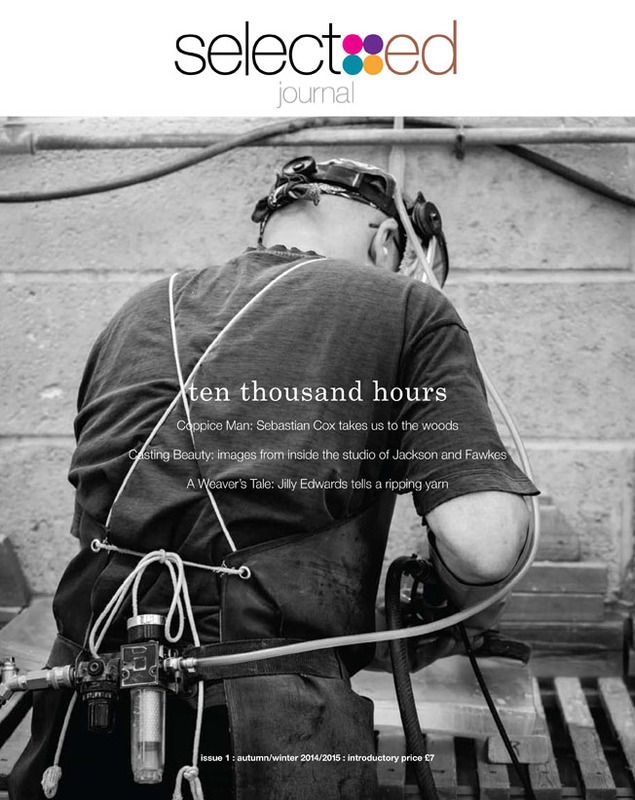 The inaugural issue arrives on the shelves and on-line on October 1st 2014 and is filled with a mix of new talent, in-depth features and photographic essays. It includes an interview with coppice man, Sebastian Cox, a rare glimpse inside the studio of cast glass artists Sally Fawkes and Richard Jackson and a limited edition honey drizzler made by the very talented Joseph Hartley. Issue 1 has a limited print run and has been designed as a collector’s piece and comes with a unique bookmark made from Lewis & Wood’s Royal Oak wallpaper, created from a block print by master wood engraver Andrew Davidson. Weaving is an age-old craft but it has boundless potential. The beauty and joy of weaving a finished piece of cloth can be enhanced by creating your own designs and using the latest ideas and techniques. 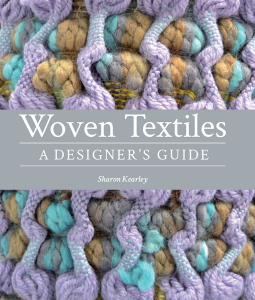 This new book explains to the novice how to start weaving textiles, but also develops techniques for the more experienced so they can learn to appreciate colour, patterns and structures, and thereby design their own richly-textured cloth. Step-by-step instructions on learning to weave. 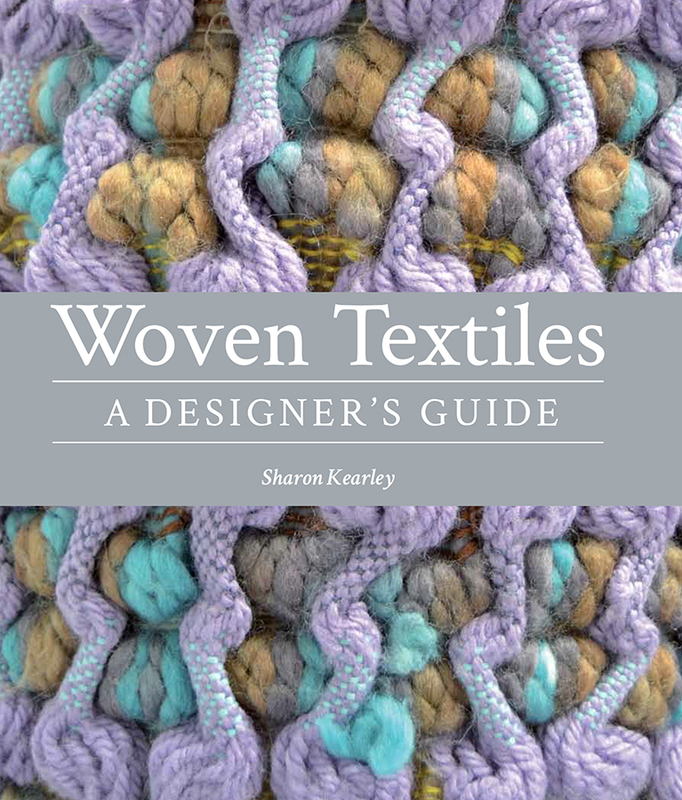 Guide to weave structures and patterns. Colour, pattern and structure explained.